The thread detailed what being incarcerated in Louisiana is like. Louisiana's largest prison, Angola, currently holds 5000 inmates. The ACLU reported in 2013 that 95% of its prisoners are expected to die within the walls of Angola. 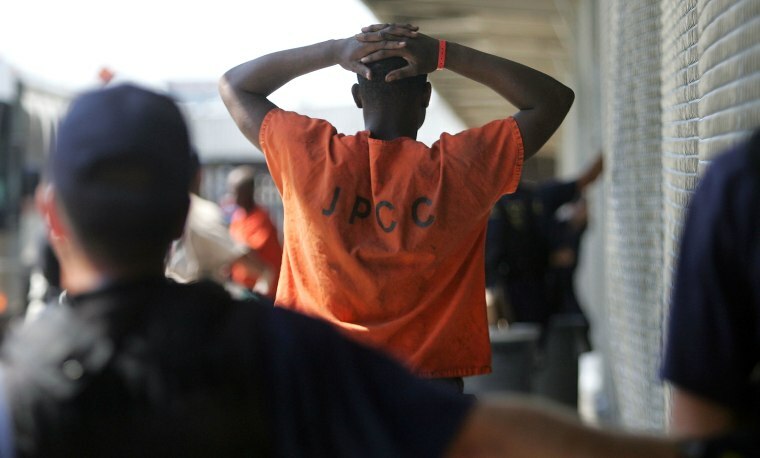 In general, Louisiana sends people to prison for nonviolent offenses at rates higher than any other state in the country, and compounds the issue with long sentences, often times life without parole, according the ACLU report. Louisiana also incarcerates black people at disproportionate level and 65.4% of those serving life without parole are black. "I thought I understood racism and mass incarceration. But nothing prepared me for what I saw in Baton Rouge, Louisiana," began Sinyangwe's thread. There are currently efforts in place by Louisiana Governor John Bel Edwards to lower the incarceration rate in Louisana, and in March a task force appointed by the Gov. Edwards was approved, as reported by The Times Picayune. According to that report, the efforts to reduce the levels of incarcerated people in Louisiana will be incredibly hard work, and there is no guarantee that Gov Edwards will receive all the support he'll need in order to make it a successful initiative. The Washington Post reported on May 18 that the progress made by activists, politicians and other members of the community has the potential to reduce the rate of incarcerated individuals, which would follow an effort Texas set forth 10 years ago. Considering the recent policy set forth by Attorney General Jeff Sessions, who ordered federal prosecutors to seek the maximum penalty for drug offenders, most initiatives to reduce prison populations don't seem promising. This isn't the first time the spotlight has fallen on Louisiana's outlandish rate of incarceration or its issues with policing. The 2016 shooting of Alton Sterling, an unarmed black man who was killed by two police officers as they pinned him to the ground, refocused attention on Louisiana. Read Sinyangwe's entire thread below. So I was in theory prepared to see some things. I just didn't know what I would see or how I would experience it. LA gives police a *month* before being questioned for killing someone and makes police chiefs classified employees making hard to fire them. So I'm in the capitol, watching the state legislators moving around. Mostly middle aged white men with blazers, khakis. They're in charge. The white (almost all Republican) legislators work to maintain this system while black prisoners are right there. Watching. Working. I'm still processing the experience. This was, to me, surreal. Black folks I talked to were matter of fact, unfazed. It's the reality there. It's better than the work outside, on the prison grounds. In the fields instead of being in the house. What are we supposed to think about the legislators there? Interacting with prisoners every day. Getting served food, papers printed, etc. How do we change these systems when they're all so entrenched? The people in power are all part of it, benefitting from it.